Viking Masek and Ishida scale packaging line for sale. 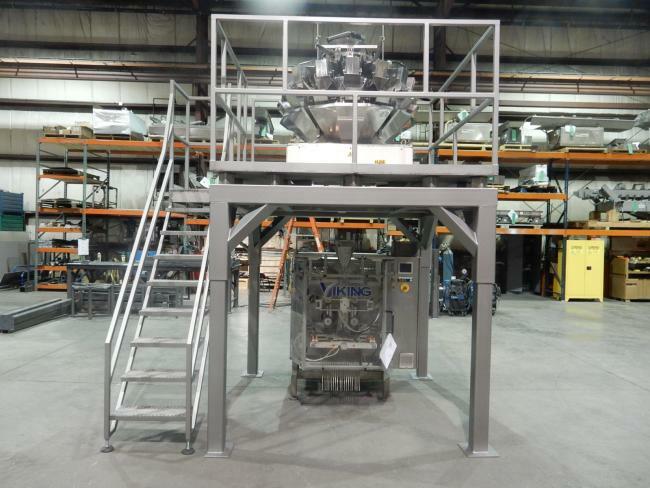 Viking Masek and Ishida scale packaging line for sale. High Performance packaging Has this Viking Masek and Ishida scale for sale. This Viking and Ishida packaging line is ready to run. This Packaging line also includes a mezzanine as shown. High Performance can also add bucket elevators, vibratory feeders, takeaway conveyors, metal detection, checkweighing, and pack off tables to complete the line. We can build any custom line to your specifications. High Performance Packaging can also offer FAT test runs, install the line and assist you in start up and training. High Performance Packaging has this Viking Masek M250 bagger with Ishida CCW-R-214-W-1S-30-PB-GS scales and mezzanine for sale.